Pawn your Tiffany Watch - Take our Loans on Tiffany Watches! If you are asking the question “Where can I pawn my Tiffany watch in London?”, the specialist fine watches department at New Bond Street Pawnbrokers is London’s best answer. Our experienced team of watch appraisers are passionate about luxury timepieces, and the Tiffany brand are among our favourites to deal with. Tiffany is one of the first names that comes to mind when you think of luxury jewellery, and their watches feature some of the most collectible models on the market. We are always happy to offer professional appraisals on any Tiffany timepiece, no matter the condition. With our knowledge and experience, you can release capital via loans on Tiffany watches at our award winning pawnshop in central London, be they modern, vintage or antique. The valuation criteria consider a watch’s model, condition, age and provenance, among other factors. Will I be able to pawn my Tiffany watch? The first step in deciding whether your Tiffany timepiece could secure a loan is to determine its value. Our expert team can provide expert, accurate market appraisals to define the size of the loan you could receive. We are independent specialists in fine watches, and love to appraise in-demand Tiffany models like the Art Deco, CT60 and Cocktail ranges. The rarer the model, the better value you are likely to get from it, and the more iconic models tend to fetch the best price. Our expert team is poised to help you secure a loan against your Tiffany watch. We are specialists in providing loans against these luxury timepieces, and you won’t even need to have a credit check undertaken. Once the valuation is complete, the loan can be instantly paid out to you. And our friendly team takes professionalism and customer service very seriously, as expected by our high-end clientele. Expect an outstanding level of service and advice from the moment you walk in the door. There is plenty of glitz and glamour wrapped up in the Tiffany brand, but they are also known for their superb standards of craftsmanship. 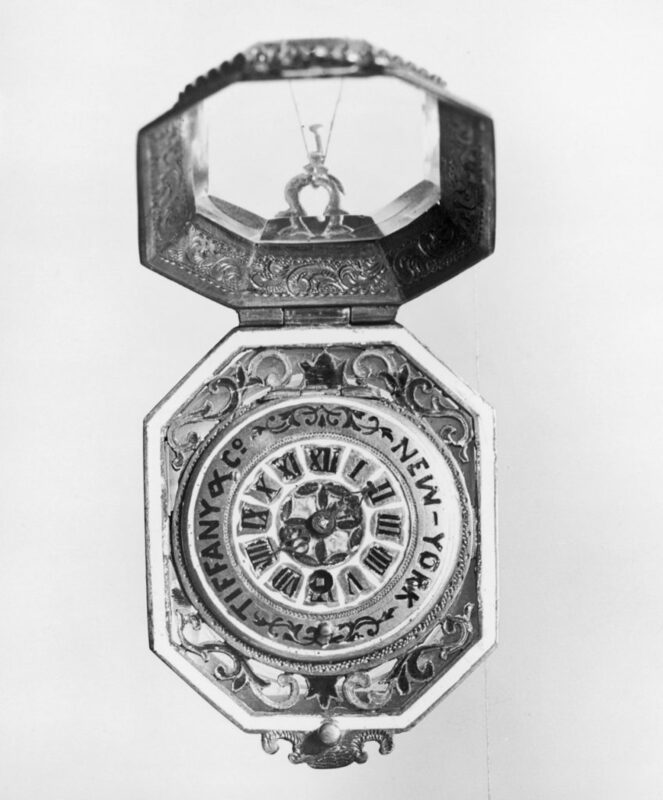 The company was founded in New York City back in 1837 and began selling watches 10 years later. The reputation has been established over the better part of two centuries, and with some of the most finely engineered and designed pieces in history, Tiffany watch owners should be excited by the potential on their wrists. The value of their pieces has ranged from around £1,000 up to the iconic Tiffany Patek Philippe Split seconds watch which was auctioned for more than £200,000. Before we can release any funds to you, we need to ascertain the value of your watch. This means our specialist team will make an assessment of its value based on relevant criteria including age, condition, model and provenance. We will always attempt to make the very best loan offer possible, and you can trust us to keep your confidentiality paramount throughout the process. We know your Tiffany watch is precious to you, and we will handle it with care at all times.